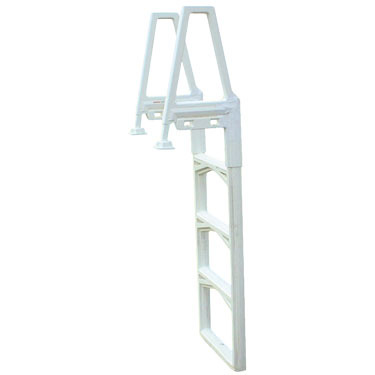 At Sunny’s Pools & More we have a wide selection of above ground swimming pool ladders to choose from. Stop by any our five locations today to see our full selection. 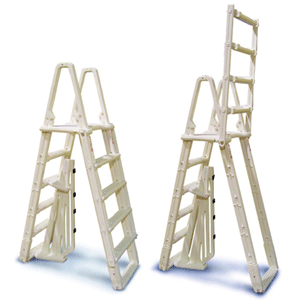 These ladders are designed for safety, comfort and are aesthetically pleasing. 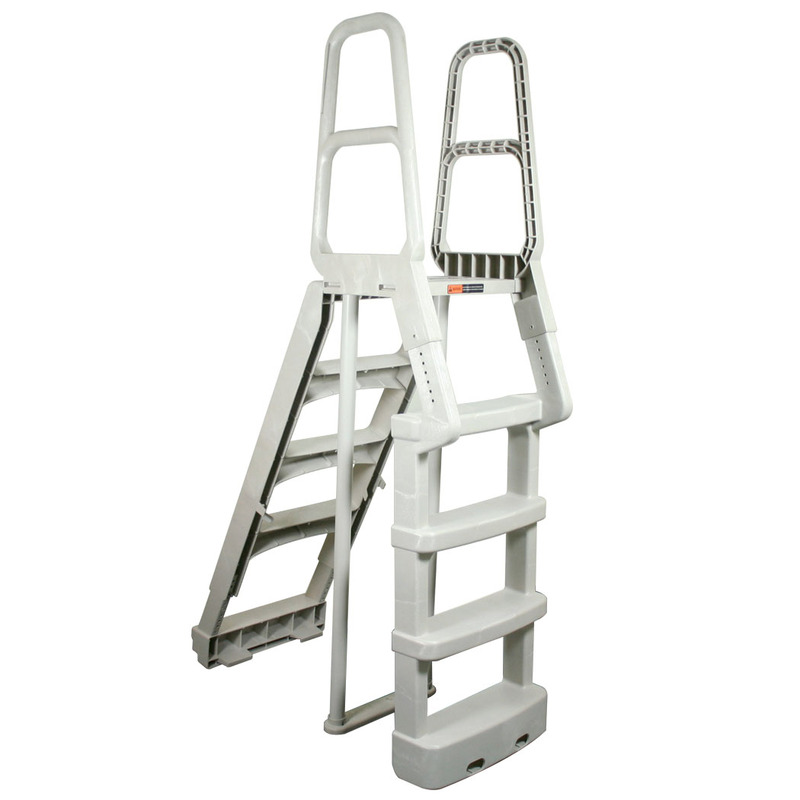 The new Comfort Incline ladder marries our award-winning Smart Choice swing- up and removes ladder to the easy incline in-pool ladder design for an economical entry-level system. 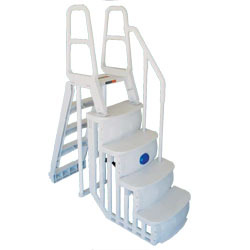 The large and thick graduated treads on the inside ladder create a “comfortable incline” and solid footing for the average swimmer. 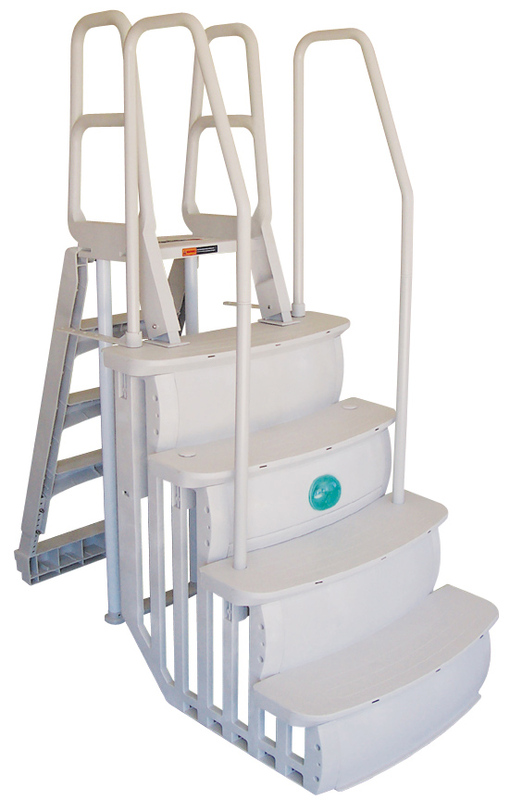 The premium 36″ Easy Entry System is ideal for families, larger swimmers, and physically challenged. The wider 36″ tread offers easy passage & allows family members to sit side by side. 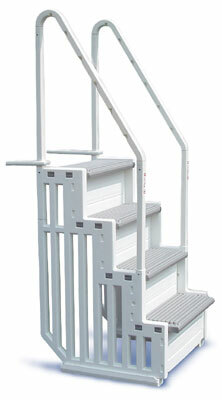 Handrails on both sides help individuals pull themselves up & out with ease. 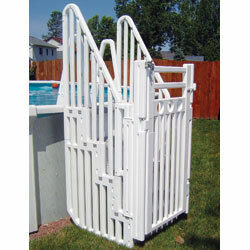 On the outside of the pool a heavy swing up & lock / remove safety feature. The wider 36″ tread offers easy passage and allows family members to sit side by side. 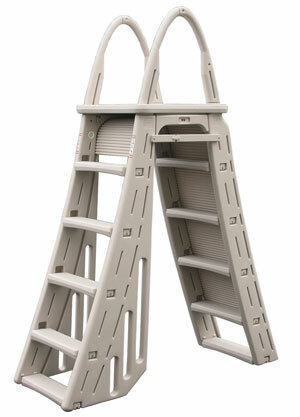 Handrails on both sides help individuals pull themselves up & out with ease. The premium 36″ entry is great for larger family members and swimmers that are physically challenged. 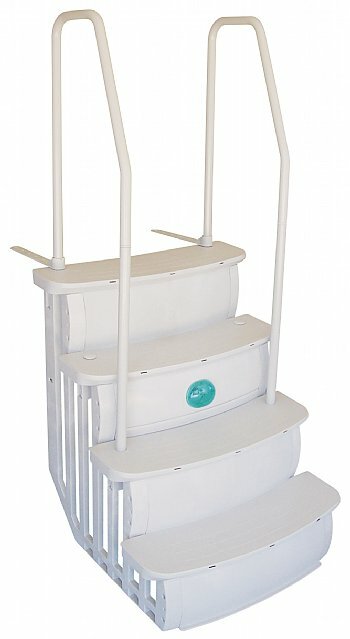 Extra high & extra strong safety rails. 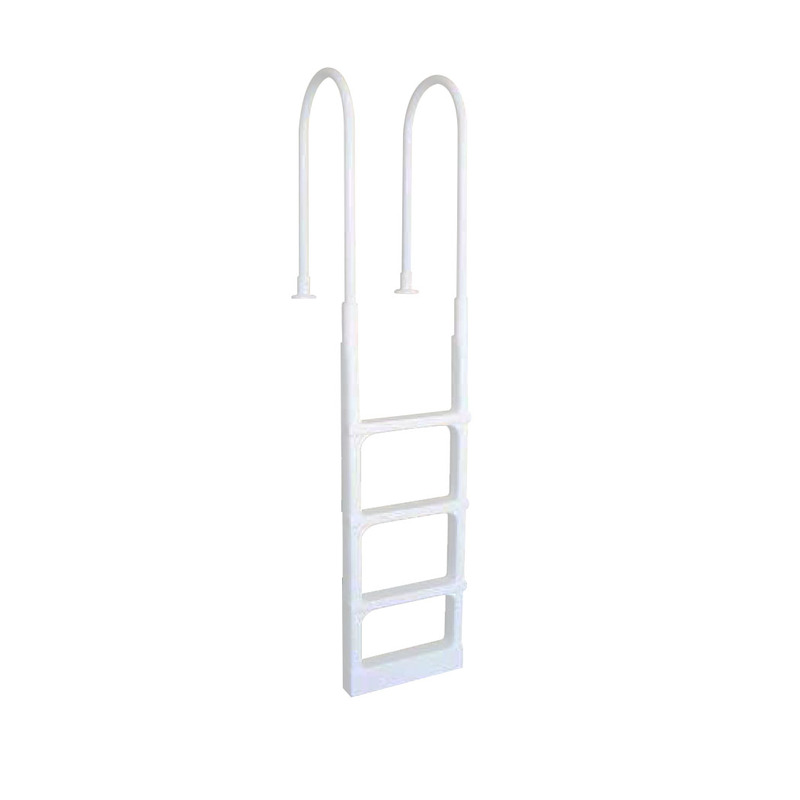 Swimming pool ladders with rails featured on this page are in-stock or available to order at all our locations.